The year is 2014 and the strides made for women's rights and gender equality are at an all-time high. But while the suffragettes of the 1900s and the bra-burners of the '60s have already broken down major boundaries, there's nevertheless another struggle that women must arm themselves for: the battle with biology. 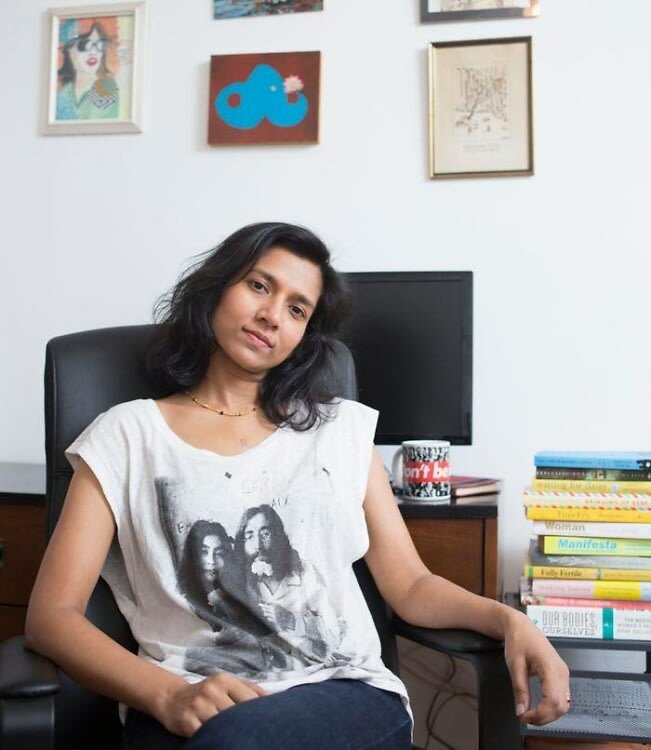 Hailing from Sri Lanka and raised in Long Beach, Tanya Selvaratnam is a writer, producer, theater artist, and activist who, like many modern women, grew up on the principles of chasing her dreams and of building a career before settling down. It was during her painful pursuit of motherhood, however, that she realized the biological clock doesn't wait for feminism. Starkly honest and admiringly candid, The Big Lie: Motherhood, Feminism, and the Reality of the Biological Clock tells Tanya's story of fertility treatments, the discovery of health issues, and the subsequent toll it took on her marriage. Unfortunately, for many women, her story is all too familiar. And so Tanya has become a catalyst for the next wave of women's advocacy, arming them with the complete knowledge they need to live life to their full potential. Of course, like most females, Tanya is a fighter, and has risen from her experiences to bring to light a new voice of feminism. Here, we speak to her about debunking myths, finding peace, and how fulfillment could be found in every aspect of your life.